Tanichthys alboneubes common name white cloud mountain minnow. They grow up to 3-4 cm / 1.5 inches fully grown. 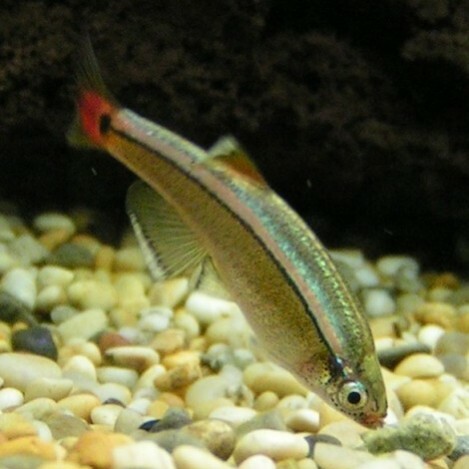 They live in water parameters of PH range 6.0-8.0 and temperatures of 16- 25 Celsius / 64-77 °F. 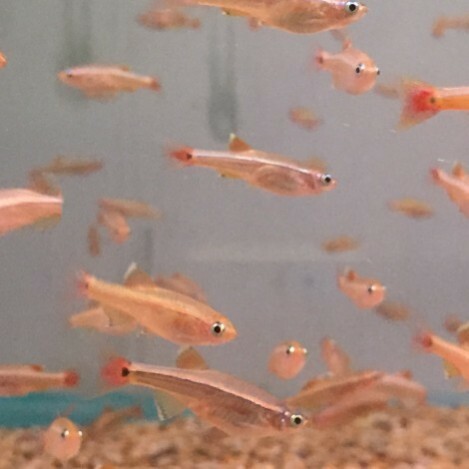 The white cloud mountain minnows are a lovely little peaceful fish. 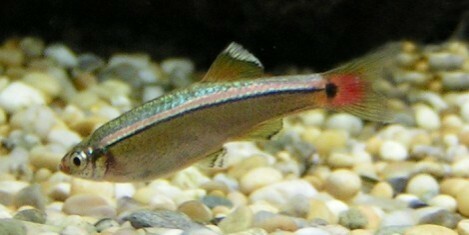 They are best mixed with smaller fish, in small groups as on there own they can be shy. 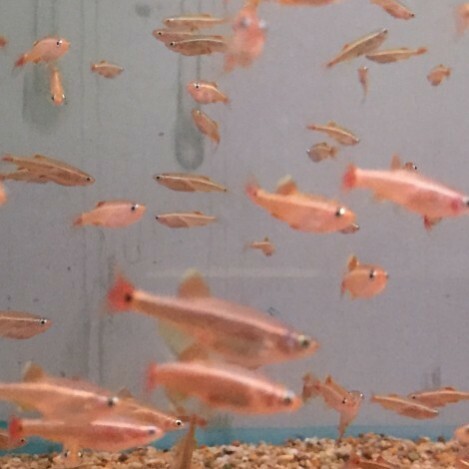 White cloud mountain minnow as the can go in colder temperatures can go in to cold water tanks with gold fish. However due to there small size again do not mix them with bigger size fish as they will become the gold fishes dinner. They will eat most foods but not a lot so flake, mini granular foods are best for them. Also a treat of freeze dried, frozen or live foods is always good for them. 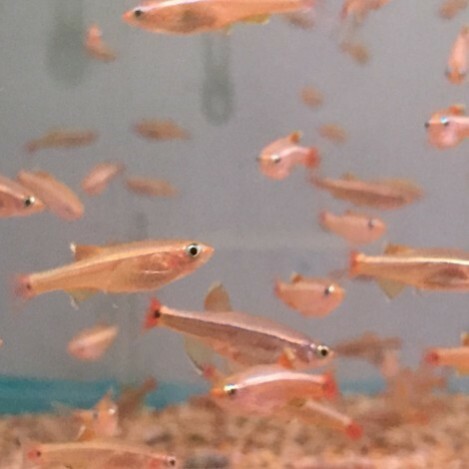 White cloud mountain minnow are tiny little fish they only require small size foods. They will only eat small amounts so they only need to be fed once a day at the most.